Buy bulk gourmet Chocolates of Vermont - create your own unique party or wedding favors. For over two decades, handcrafted molds have shaped unique chocolates celebrating Vermont's memorable seasons. 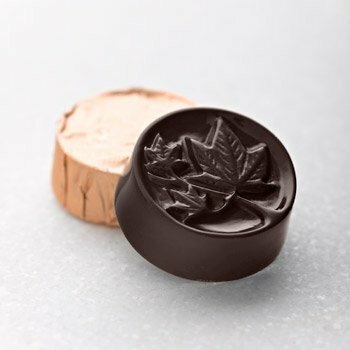 Autumn's stunning foliage is featured on maple leaf-embossed dark chocolate surrounding a maple syrup buttercrunch center. Approximately 80 pieces individually wrapped in copper Italian foil. 2.5 lbs. Kosher.